Plasma table -- total control. 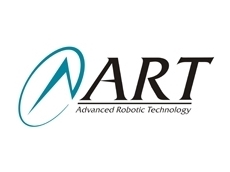 ADVANCED Robotic Technology (ART) CNC profile plasma tables, including the SVP series 4400, will be demonstrated at Austech 2004 during National Manufacturing Week in Sydney from June 1-4. ART has developed a machine which keeps in total control either by using the touch-screen and/or pendant control. This makes it easy to learn, providing on-the-fly operational information, while the interactive touch-screen provides a quick and simple means of entering machine instructions. Profile Master, the software which achieves absolute productivity with Windows-based integral CAD/CAM profiling, packed with real-world features, and Powermax G3 series from Hypertherm, the performance standard for air plasma cutting technology, will also be displayed at the Austech 2004 show. The smart plasma range is also able to handle the highs and lows by maximising consumable life, performance, as well as integrated tool control systems - the intelligent torch height controller, the initial height sensor and the break-away torch protection mechanism, which are standard on all machines. All SVP plasma machines include a weaved deck and downdraft extraction trough which travels along with the gantry to reduce emissions into the work area, which ultimately keeps scrap collection and cleaning to a minimum. 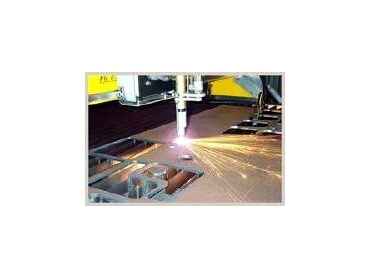 Manufacturers don't have to go overseas for a quality plasma cutter, ART has everything right here -- industrial strength, outstanding quality, exceptional value, and innovative software. 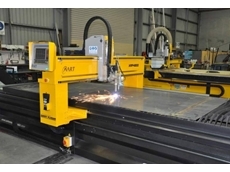 ART also manufactures the most advanced range of CNC routing tables from three metres through to 14 metres. Visit ART at Stand E77 to have any questions answered.